Written by the winner of the 2008 Mike Price Fellowship "This volume provides a comprehensive overview of the wealth of information now available in this important and fast-moving subject." Anticancer Research, November - December 2008 This book provides a clear introduction to the area, with an overview of the various drug design and development approaches for cancer therapeutics and their progress in today's multidisciplinary approach to cancer treatment. Clearly structured throughout, the book not only provides information on currently used molecular treatment approaches, but also describes the various agents that are currently at various stages of development and clinical trials, thus making them the drugs of tomorrow. The book goes on to present current therapeutic regimes including their indications and side effects, as well as their position in the international market in terms of sales and development costs. Furthermore, coverage of our advancement in the understanding of cancer biology and how this has driven the drug discovery process is clearly discussed. Modern drug discovery aspects, through genomic, proteomic and metabolomic approaches are referred to as well as combinatorial chemistry techniques and discovery of chemotherapeutic agents from plant extracts, re-use of old drugs and drugs from other indications, or de novo rational drug design. 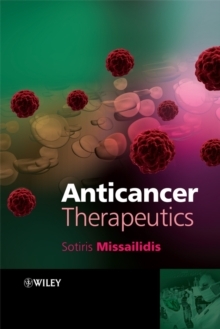 Including contributions from leading experts in the field, this book provides the reader with a complete overview of the various types of therapeutic agents, current and emerging, as well as other aspects associated with anticancer therapy, drug design, resistance and clinical trials in oncology.